If you’ve been injured in an auto accident, our attorneys are here to fight for the compensation you deserve. Don’t trust insurance companies to offer you a fair deal. Their claims adjusters care more about profits than your ability to pay your medical bills or recover from lost wages. Mourning the death of a loved one can be one of the hardest things to experience. It can be especially painful if you loved one’s death could have been prevented. At Robert J. DeBry, we want to help you determine who was responsible so you can begin to heal. 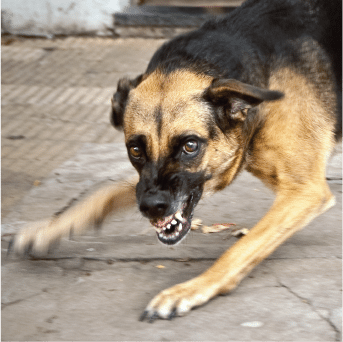 Dog bite injuries are often painful and emotionally damaging. With the help of our lawyer, you don’t have to face the cost of your injury alone. We will work hard to maximize the value of your claim. All you have to do is focus on getting better. When medical mistakes happen, the consequences can be major. Medical professionals need to provide an accepted standard of care for you and all their patients. If you’ve been harmed because of a healthcare professional’s failure, you may be able to file a medical malpractice claim. If a property owner fails to keep their property safe, they can be held responsible for injuries that are caused by that negligence. If you’ve ever been injured in a slip and fall accident on someone else’s property, you may be entitled to compensation for your medical bills, pain and suffering and other related expenses. Driving drunk is dangerous. When somebody drives under the influence of alcohol he or she risks his own life and the lives of everyone around them. Too often we see the destruction that a drunk driver can do to a person’s life, livelihood and family. If you or a loved one has been injured because of a drunk driver, we can help you. Due to the size and weight of trucks and their trailers, truck accidents can be more devastating than other accidents on the road. If you’ve been injured in a truck accident, our Salt Lake City truck accident lawyers can help determine who is legally responsible for your injuries. Motorcycle accidents can be brutal. At Robert J. DeBry, our motorcycle accident lawyers know the dangers motorcyclists face on the road every day. If you’ve been injured in a motorcycle accident, we can help make sure you get the money you deserve. An injury caused during birth can be an extremely traumatic experience. If your baby’s injury was caused by the negligence or carelessness of a medical provider, our birth injury lawyers are here to investigate and make sure the responsible party is held accountable. Boating can be a fun summer activity to do with your friends and family, but if accidents happen on the water, somebody could be seriously injured. If you’ve been injured in a boating accident, we can help you get the compensation you deserve for your injuries and expenses. Hip implants are designed to decrease pain and increase mobility. Unfortunately, some implants can be defective, causing serious health problems and complications. At Robert J. DeBry, we make sure the manufacturers are held accountable for their negligence. We will make sure you receive the compensation you deserve for your injury. There are all kinds of medical devices designed to treat diseases, alleviate suffering and increase your quality of life. Unfortunately, some medical devices can break down inside the body, causing pain and possibly life-threatening side effects. Contact us today if you’ve suffered from defective medical devices. When corporations choose profits over safety, consumers get hurt. Whether as a result of the design or manufacturing, if you’ve been injured by a defective product, you deserve to receive compensation for your medical bills, lost wages and other injury-related expenses. Don’t let the corporate legal teams push you around. Allow our lawyers to fight for you. Medicine is designed to make you feel better when you’re sick. However, sometimes drugs can cause serious health complications if they’re not manufactured safely or prescribed appropriately. If you’ve been injured by medication, contact us. Our drug injury lawyers will fight the pharmaceutical companies on your behalf to get the compensation you deserve. Head and spinal injuries can lead to lifelong health complications that require costly treatment. Regardless of how the injury occurred, our lawyers will investigate and build a strong claim to make sure you have the financial resources you need to support your family. Nursing facilities are supposed to provide supervision and care for you loved one. Unfortunately, some nursing homes might be abusing or neglecting your loved one. If you find that this is the case, let us help you hold the facility responsible for its abuse. Most employers in Utah are required by law to offer workers’ compensation benefits to employees in the case of a work-related injury. If you feel you’ve been treated unfairly by your company, we can help ensure you get the compensation you need to pay for medical bills and lost wages. Bike rides can help you save money on gas, help the environment and help you to avoid traffic. During the summer, more people tend to take their bicycles out of storage to use them as their main commute to work and school. However, riding a bike comes with its risks; especially when you’re riding alongside cars on the road. If you’ve been injured in a bicycle accident, contact our attorneys at Robert J. DeBry and Associates⎯ we’ll help you get the compensation that you deserve. In some cases, walking can seem more practical than driving; especially when it comes to the busy streets of downtown. But sometimes, pedestrians run great risks while walking down the sidewalks of Salt Lake City. If you’ve been struck by a vehicle while on a walk or while crossing at a crosswalk, contact our attorneys at Robert J. DeBry and Associates. We’ll help you get the compensation you deserve for your injuries.